Beautifully emotional documentary wedding films from multi-award winning Wedding Videographer Aaron Rose. 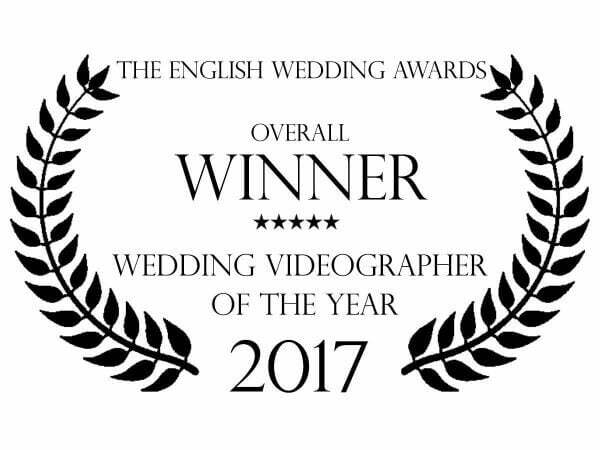 Two year consecutive winner of the English Wedding Awards Wedding Videographer of the year 2017 & 2018. Covering the whole of the UK & Destination Weddings. Most frequently shooting weddings across the North West in Manchester, Cheshire, Liverpool, Wirral, Shropshire and Lancashire. Thank you for taking the time to visit my website. Aaron Rose Wedding Films is the home for all my wedding related work, and where you can get a feel for my take on creative documentary wedding videography. Browse the blog or view my wedding film samples to experience my unique documentary style. I guess you have arrived at my website because you want a film that moves you with the real emotions your wedding. My clients are real people like you, who want their story told in my unique creative style. Real smiles, tears and laughter are what make my films special. I often think to myself that I must have the best job in the world. But its more than a job, its an honour and a privilege to be chosen as a couples filmmaker. Documenting wonderful moments during a couples happiest day and watching them start their new life together in marriage. Now who wants to argue that this is not the best job in the world? It would be my honour to be part of your wedding day, capturing the memories that will last a lifetime. I love to travel to destination weddings, so wherever you are getting married I would love to hear from you. From intimate woodland weddings to highland elopements our creative adventure together starts here. Documentary Filmmaking. – Art in motion.